Stella Auburn/Chocolate Owl Mug, 9 oz. or 12 oz. 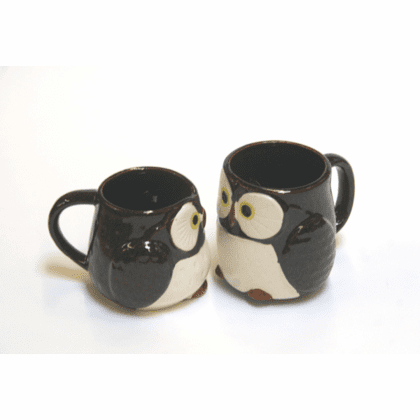 Home | Ceramic Teapots & Tea Cup Sets | Owls Series/Products | Stella Auburn/Chocolate Owl Mug, 9 oz. or 12 oz. 3-1/4 inches tall, 3-1/2 inches in diameter. $16.95 each (#113766), 12 ounces. 3-3/4 inches tall, 3-1/2 inches in diameter.